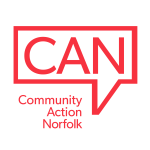 CAN is currently working to ensure that these plans will incorporate effective engagement with the voluntary, community and social enterprise sector and will circulate more information, when it becomes available. The NHS England guidance “Delivering the Forward View: NHS planning guidance 2016/17 – 2020/2021” can be found by clicking here. NAVCA has released a briefing highlighting the opportunities offered to the voluntary, community and social enterprise sector through local infrastructure organisations, which is available by clicking here. To contact your local CCG please click here.